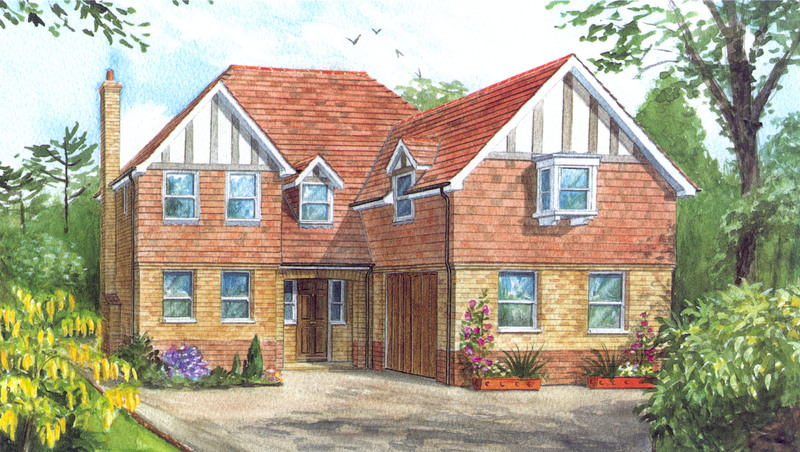 This is a fairly typical illustration/artist’s impression produced for a developer to market new build housing. This was produced from information and working drawings (plans and elevations) provided by the architects and from a site visit and photographs of the site. Illustrations of this kind can be produced at any part of the development process (sometimes when there is virtually nothing to see on site) so that the houses can be marketed at the earliest possible stage.